The most well-known responsibility of a mobile patrol is monitoring outdoor spaces and venues. Some businesses that have large spaces or multiple sites, like a festival, would find a mobile patrol to be advantageous as these patrols can cover a larger perimeter versus having the same number of static security guards stationed to an area. This provides better value and cost efficiency while ensuring the venue still as a visible security presence. With the freedom to rotate, mobile security patrols can conduct random and pre-scheduled checks, especially to areas that may be at a higher risk. The ability to move as needed ensures that patrol movements do not develop a pattern or become predictable. While exterior patrols are the most well-known, mobile patrols may monitor the interior portions of any buildings in their patrol areas. When surveying and inspecting these areas, security guards are responsible for thoroughly searching properties, checking security systems, ensuring fire safety protocols are being followed, addressing hazards, and making sure no sensitive materials are vulnerable. Mobile patrol guards may also be used to provide security escorts to employees or special guests. This might be a courtesy service offered by the company to its employees to ensure their safety or it might be to mitigate a specific risk a company is facing. A professional security patrol will arrive promptly and take all the necessary precautions to ensure the person arrives at their destination safely. Most mobile patrol units also provide a keyholding and alarm response service. As a part of this service, keyholders are entrusted to store spare keys in a secure location and they can be called upon to open or close the premise at any time. Mobile security patrol guards will respond also rapidly if your alarm sounds. They will investigate and determine what caused the alarm to sound and whether there is a valid security issue. Once they have assessed the situation, mobile security guards will respond as required. This may include resetting the alarm, holding culprits, or communicating with emergency responders. A quality mobile patrol will have up to date first aid and safety training. If an incident occurs on a site, patrol security guards are a fast response that can provide guidance on protocols such as fire safety, emergency evacuation planning, and health and safety strategies. 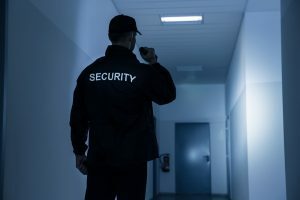 When it comes to the safety of your site and the people inside, ensure that you choose a quality security provider with well-trained mobile patrols. Remember that a good mobile patrol service should also act in accordance with the agreed standard operating procedures. If you are looking for cost-effective mobile patrol security services, contact Impact Security Group for more information.